This week I am going to highlight one of my favorite breeds, the Golden Retriever! 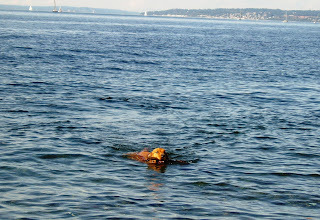 They are a very popular breed of dog just about everywhere and the Pacific Northwest is no exception! These dogs are great with kids! They love to play, run, swim and need to be walked often because are high energy dogs! They are a very playful and happy breed and love to go everywhere with you! The first dog I met on the beach is a Golden Retriever named Sammy! She is three and will be four this Halloween! She is a smiler! Avery, my sister, and I have dog sat and walked Sammy! 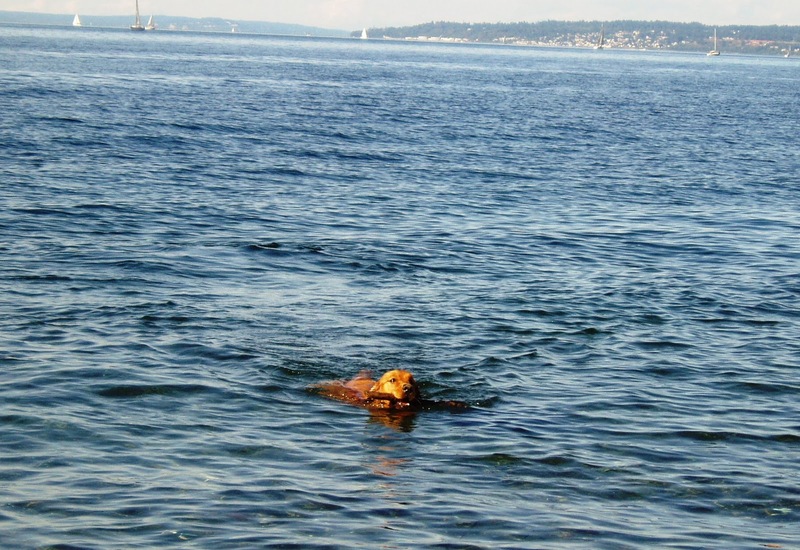 She is so fun and loves to swim in the ocean after her tennis ball and go for long walks with our dogs, Buddy and Charlie. And whenever we go to see her, she wags her whole body! The Golden Retriever is a pure bred dog often used for hunting. These dogs were specifically bred as bird and rabbit dogs with excellent water and field skills. Because of this, the sporting dogs often require a lot of exercise and activity to keep them in shape. It is believed that the Golden Retriever was developed over time by crossing the flat-coated retriever and the tweed water spaniel, along with other various breeds of the same group, the Sporting group. Grooming is a very important part of owning a Golden. The golden retriever has a dense inner coat that provides them with warmth. The outer coat is sleek and water repellent, and lays flat against the body. The official color of the breed is the varying shades of gold that are most often seen. Due to the thickness of the coat, regular, frequent grooming is required, perhaps on a weekly basis and should be brushed daily. I think of them as hairy Labs! :) They are known for the long Golden coat, but they also have light cream and dark golden coats! I love the light cream! Sporting dogs such as Golden Retrievers and Labrador Retrievers are considered to be some of the smartest and most loyal breeds known. With the breed's popularity, it has gained its reputation as hunting partner, companion, and helper. The golden retriever has become famous in search and rescue, therapy, service, and law enforcement, making it one of the most versatile breeds of its kind. I love Golden Retrievers; they are one of the most beautiful and happy go lucky dogs. It is no surprise the Golden is man's best friend! It is triggered by the passion communicated in the article I browsed. 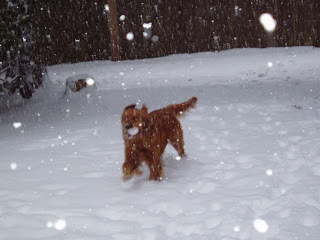 And on this post "From Sea to Snow, Sammy the Lovable Golden". I was excited enough to post a commenta response ;-) I actually do have a few questions for you if you don't mind. Could it be just me or do some of these comments look like they are coming from brain dead folks? :-P And, if you are posting on other social sites, I'd like to follow everything new you have to post. the want?.I am attempting to in finding issues to improve my website! I guess its adequate to make use of some of your ideas! It's hard to come by educated people on this topic, but you seem like you know what you're talking about! Link exchange is nothing else however it is just placing the other person's webpage link on your page at proper place and other person will also do similar in support of you. Tremendous issues here. I'm very glad to peer your post. Thanks so much and I am taking a look forward to contact you. Will you kindly drop me a e-mail? just following you. Look forward to exploring your web page repeatedly. take a massive amount work? I am completely new to running a blog however I do write in my journal on a daily basis. I'd like to start a blog so I can share my experience and thoughts online. Please let me know if you have any recommendations or tips for new aspiring blog owners. Thankyou! for me. In my view, if all website owners and bloggers made good content as you did, the internet will be much more useful than ever before. have got here on this post. I'll be coming back to your web site for more soon. of precious knowledge about unexpected emotions. or go for a paid option? There are so many options out there that I'm totally overwhelmed .. Any tips? Bless you! Excellent web site. Lots of helpful information here. I'm sending it to some pals ans also sharing in delicious. And obviously, thank you on your effort! What's Taking place i'm new to this, I stumbled upon this I have found It absolutely useful and it has helped me out loads.